Footage of hearings in the UK's highest court will be uploaded to its website on the next working day and be available to view for a year. 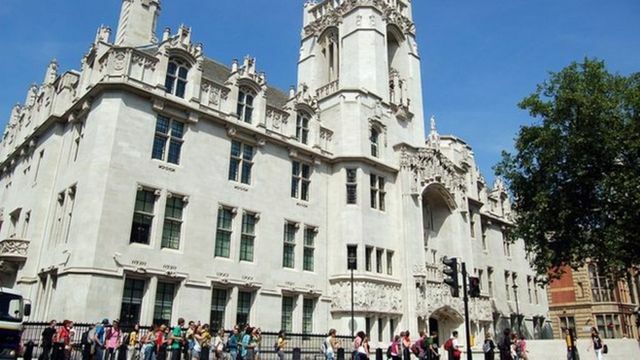 Supreme Court president Lord Neuberger said the service would allow people to see the background to decisions made in the court. "Now justice can be seen to be done at a time which suits you," he said. Once judgement is delivered in a case, the footage of the Justices' summary in court will be published alongside the full judgement text and press summary. Lord Neuberger said it would also be an "informative tool" for those considering a law career. BBC legal correspondent Clive Coleman called the service a "legal iPlayer" and said it had been dubbed "court catch-up". He said the court already had a YouTube channel but it had shown only summaries of its judgements so far. The new service offers the constitution in "living, breathing action", he said, allowing people to hear important points debated by the finest legal experts in the country.